Pretzels? Yes please. Chocolate? Of course. Candy shell? Um, yea, I guess so. That seems unnecessary, but ok.
Pretzel M&M’s arrived a few months ago, to fill a niche in the snack world… that is already being filled quite admirably. You see, we already have chocolate-covered pretzels. And they’re amazing. And that is where Pretzel M&M’s go a little awry: the all-important salt. We have too little salt and too much pretzel. 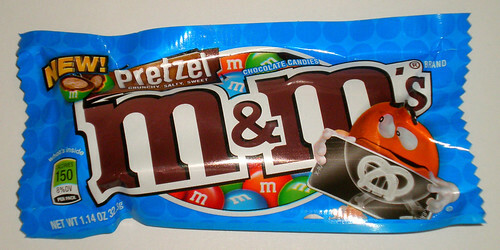 The Pretzel M&M is dominated by its very bland pretzel core, which unfortunately takes up the bulk of the flavorspace. 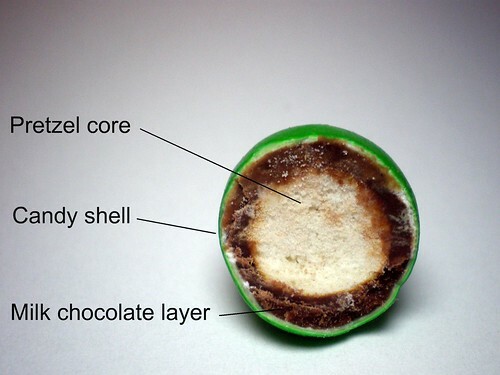 The amount of milk chocolate in each bite simply can’t compete, and let’s face it, the thin candy shell brings very little to the party. In the chocolate-covered pretzel world, the pretzel is really just a place holder for the salt. And once we evolve as a society that accepts chocolate-covered salt (we’re close, fingers crossed), we may very well see pretzels tossed by the wayside. Here, the pretzel’s potential to contribute is wasted. What we’re left with is the bite-sized anemic cousin of the chocolate-covered pretzel. Pretzel M&M’s aren’t bad at all. Just fantastically ok. A little more salt and a bit more chocolate to balance the ratio and I’m sold. Until then, go grab a bag of the real thing. I totally recomend the fizzy Skittles! It’s like a party in your mouth! I was disappointed with them at first, but they’re growing on me. As long as I think of them as a snack and not as candy. Yea they’re not bad. I think my bag ran out before I got to that point though. Thanks for the tweet! 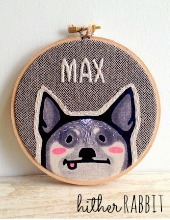 Your site is amazing. Well said. I hadn’t identified the candy shell as the reason for my own mysterious disappointment, but you’re quite right. That said, if Ben & Jerry’s tossed these directly into a pint of vanilla ice cream with a glob of peanut butter, all would be forgiven. Of course, I’d pretty much be eating Chubby Hubby at that point. 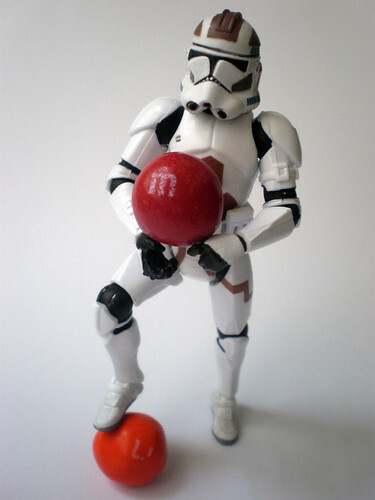 With unnecessary M&M candy shell. Now you’re talking. I haven’t yet delved into the world of snack mixing. Will have to plan an exploration of that field soon. So many chemicals to balance.